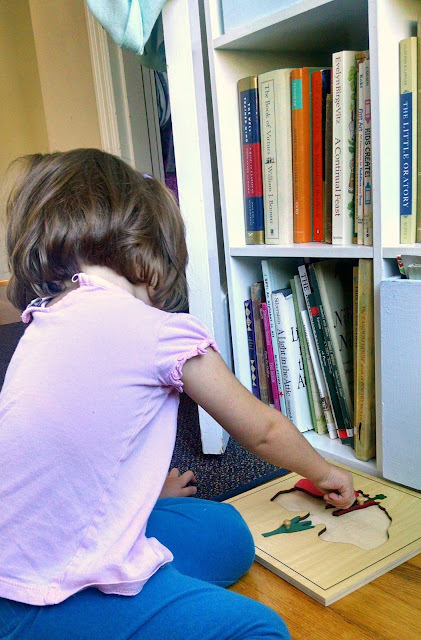 About a year and a half ago, I confessed to you all that we were taking a temporary break from Montessori. I also confessed to you that I was sure that the break would only be a temporary one, and thankfully...I was right! I had kind of sensed from the beginning that my younger daughter would have a learning style that was more in sync with Montessori learning. She always seemed to have a knack for wanting to figure out how things went together, for building, and for exploring with new materials. 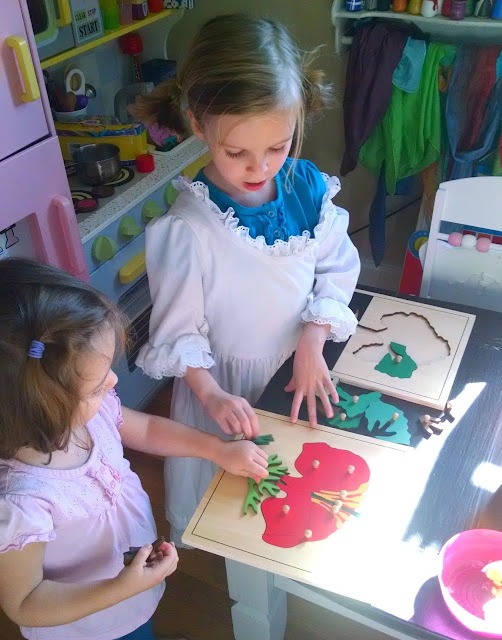 So, as she approached and surpassed her second birthday, her increasing interest in our Montessori materials was no surprise. Leader Joy mainly deals with Premium quality Montessori teaching materials in the area of sensorial, mathematics, geographic, language, science, culture, practical life and Infant &Toddler products. Leader Joy is an international company (which means it's foreign made), but it's products are higher quality than you might expect. 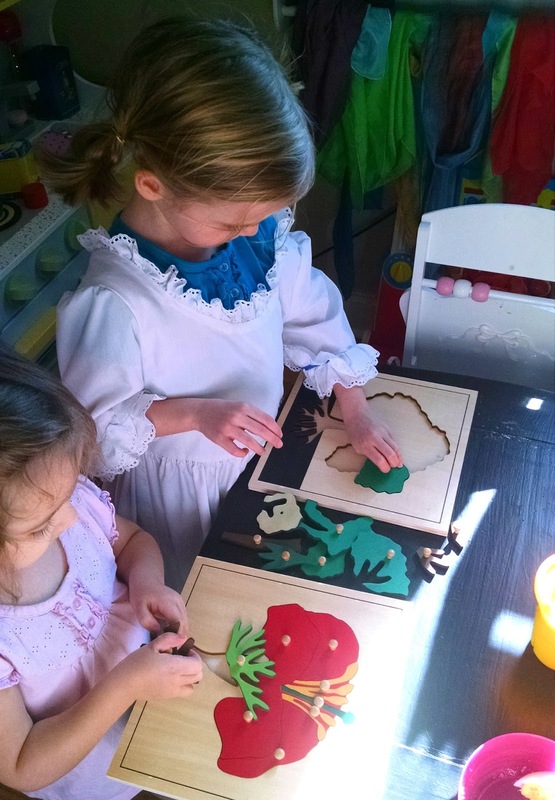 I would say that the main thing I worry about when I purchase something from an affordable Montessori store are the quality of the product (i.e. does it feel cheaply made, etc.?). 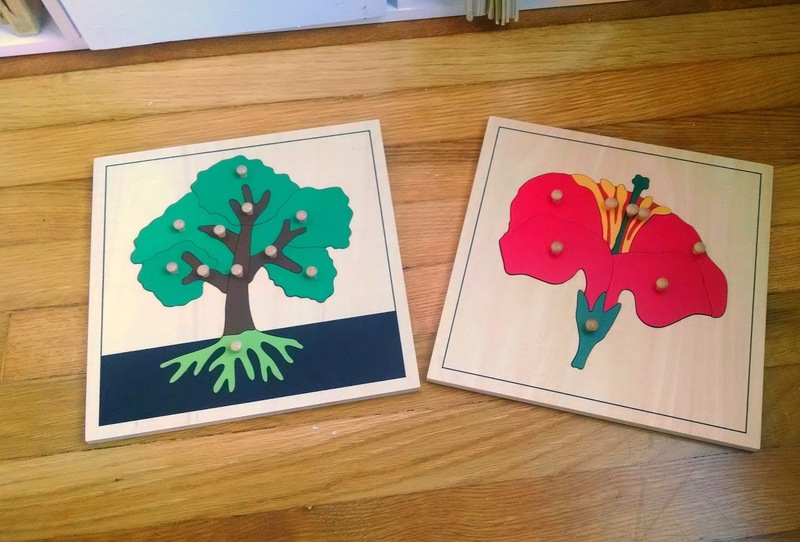 The products that we received from Leader Joy were sturdy and durable - real wood, nothing chipped or peeling, etc. I also didn't notice any off-gassing (which is something a huge issue with some Montessori companies). The website was easy to navigate and order from (although I did notice a few typos, which I'm guessing are due to translation errors?). The materials also seemed beautiful and affordable for the quality of product they're offering. Because we already have some great sensorial materials, I decided to review a couple of science materials. 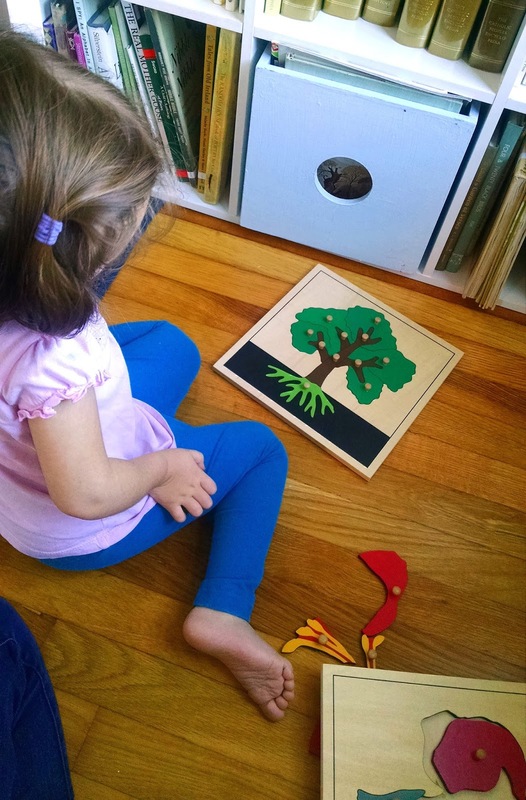 My girls have both been really into puzzles, and thanks to their dad, they're both very interested in nature. The botany puzzles were a no-brainer. Our Star Wars aficionado was off viewing the latest installment with her daddy, so this little girly got first dibs on the puzzles. She is my little puzzle lover, and I knew she would enjoy exploring these materials. Then, when our little Princess Leia (who now loves Rey, who thankfully has a much easier hair style to replicate than Leia did) came home, she took her turn. They were so excited to have new puzzles and I am so excited to use these in our science studies together! A few observations...the puzzle pieces were a bit stiff when we first attempted the puzzles, but I find that to be pretty standard with Montessori materials, and I imagine they'll loosen in time. I was incredible impressed with the quality of wood. I've bought Montessori materials in this price range before, and I wasn't at all expecting such sturdy, beautiful wood. (And you all know how important beautiful toys are to me!) Honestly, it looked more like the beautiful handcrafted work you would expect from an Etsy piece, not from a big name manufacturer. These puzzles were built to last! Like I said, I was also impressed with the service experience. If you're looking for quality, mid-price range materials (and are not opposed to something foreign made) then I think that Leader Joy would be an excellent option! If I compare it to some of the other similarly priced materials that I've bought, the quality is comparable if not better. You're getting a good product for your money! Many thanks to Leader Joy, for the opportunity to review such beautiful products!